Adolphe Pégoud is a French fighter pilot. He began flying before the the war and quickly became known as a daring and innovative pilot. One of the first to successfully parachute from an aeroplane, he also achieved great renown by such astonishing feats as flying aeroplanes upside down or in a loop. His fame was such that he trained pilots from all across Europe. At the start of the war he volunteered as a pilot, flying observation missions and then attacking German aeroplanes. With five confirmed kills of enemy aircraft he becomes the world’s first fighter ace. Today Pégoud’s luck runs out. While attempting to intercept an enemy reconnaissance aircraft he is shot down and killed by German pilot Walter Kandulski. Kandulski had trained with Pégoud before the war. Allied air crews are having an increasingly tough time of it over the Western Front. Germany has a new fighter, the Fokker Eindecker, with a machine gun that the pilot fires directly forward. The gun is linked to the engine by a revolutionary interrupter gear that prevents it shooting off the aeroplane’s propeller shafts. Allowing a fighter pilot to safely fire directly forward gives the Fokker Eindecker a marked advantage over British and French aeroplanes. Now German fighter pilots like Max Immelmann and Oswald Boelcke are beginning to make names for themselves flying this terrifying aircraft. In the air German fighter pilot Oswald Boelcke kills; on land he saves lives. Oswald Boelcke, one of the pilots going success with the new Fokker EI aircraft hit the news today. The mess of his unit, FFA 62, faces a local canal frequented by both the airmen and locals for fishing and boating. This morning, Boelcke saw a boy (14-year-old Albert Deplace) suddenly fall into the canal. Boelcke immediately ran over and ‘not having much time for reflection, I took a header and dived in’. He managed to bring the boy to the surface where they were rescued by Boelcke’s comrade Teubern in a rowing boat.. After giving the boy a ‘good spanking’, they released him into the custody of his grateful mother. All the local civilians who had gathered, gave the drenched Boelcke an ovation as he ‘stood there like a dripping poodle’ in full uniform. The parents want him to be awarded the Legion d’Honneur. Since the end of the Second Battle of the Isonzo, the Italians have contented themselves with local assaults along the upper reaches of the Isonzo line. The approaches to Mount Mrzli are a particular focus of Italian efforts, as they hope that if the peak falls they will be able to press on to the town of Tolmino. Towards the summit of Mount Mrzli the Austro-Hungarians hold a position known as the Big Trench, or Trincerone, on account of its particularly well-made construction. At great cost yesterday the Italians managed to seize this position, but as with previous assaults they are unable to hold it. 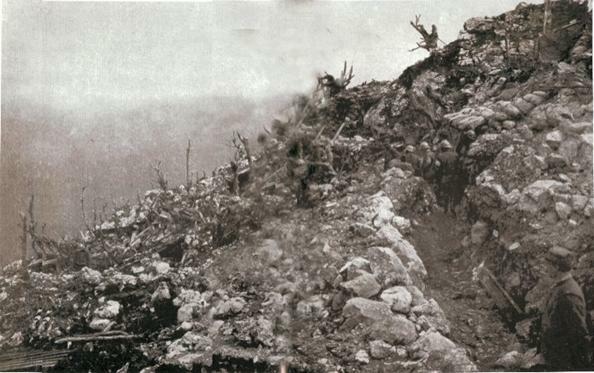 Austro-Hungarian troops from Bosnia today mount a determined counter-attack and throw back the Italians. Mount Mrzli and Tolmino do not look like they will be falling to the Italians in the immediate future. German U-boats have been attacking British shipping. Britain must trade to survive, so the Germans hoped that submarine attacks would bring the island nation to its knees. But results have been less impressive than hoped. Many British ships have been sunk but there is no sense that British trade is being strangled. Worse, the U-boat campaign has led to increasing tension between Germany and neutral nations. To minimise risk to themselves, U-boats have been attacking ships without warning, creating a breach with maritime law as understood before the start of the war. They have also attacked ships suspected of carrying war materials to Britain, whether or not they are flying the flag of Britain or its Allies. All of this has inevitably led to loss of life among the nationals of neutral countries. The objections of countries like Denmark or the Netherlands can be shrugged off, but tension with the United States of America is a different matter. The sinking of the Lusitania in May led to considerable loss of American life. The US government has been sending increasingly direct messages to the German government, culminating in what is effectively an ultimatum, demanding that Germany cease from endangering American lives with its U-boat campaign. Germany cannot afford to add the United States to the list of countries it is at war with. Accordingly, the Kaiser agrees with Chancellor Bethmann-Hollweg that the U-boat campaign must be suspended. Against the objections of Admiral Tirpitz, the naval minister, a postponement of the U-boat campaign is ordered. Turkey continues its genocidal campaign against its Armenian population. The primary method of disposal is to deport them to inhospitable desert regions. As the Armenians are force-marched across mountains and deserts many of them are succumbing to thirst and hunger. Those that survive the death marches will struggle to find any sustenance in the arid desert locations they are being sent to. The Turks are not above use of more direct methods to eliminate the Armenians. The ancient town of Urfa is a way station on the deportation routes. Many Armenians have arrived here, often after surviving massacres elsewhere, but now the Turkish authorities here have been carrying out massacres of their own. These terrible events have attracted considerable attention in the United States of America, thanks to despatches by American diplomats and journalists’ reports. These in turn have led to protests to the Turkish authorities in Constantinople. To allay American concerns, Mehmed Talaat, minister of the interior, issues orders for the deportations to be halted. He shows these orders to American diplomats and also to the German and Austro-Hungarian ambassadors, who are uneasy at the excesses of their ally. But these orders are a sham. After sending them, Talaat then sends a second set of secret orders directing that the deportations continue. The regional authorities learn that they are to disregard anything ordering leniency towards the Armenians and continue with their depredations. 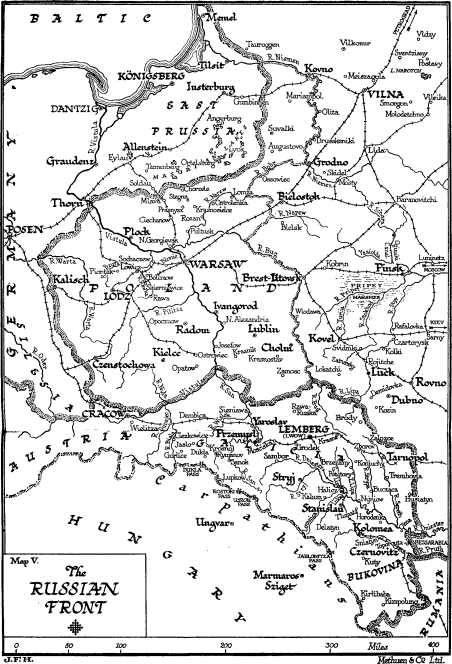 Russian forces in Poland are being hammered by the Germans and their Austro-Hungarian allies. The Russians have abandoned Warsaw and are mostly retreating eastwards, but some garrisons have been left behind to tie up German forces. Unfortunately these are rapidly falling to the all-conquering Teutons. Today besieged Novogeorgievsk, to the northwest of Warsaw, surrenders after a ten-day long siege. The Germans capture some 90,000 troops with the town, together with vast numbers of artillery pieces. 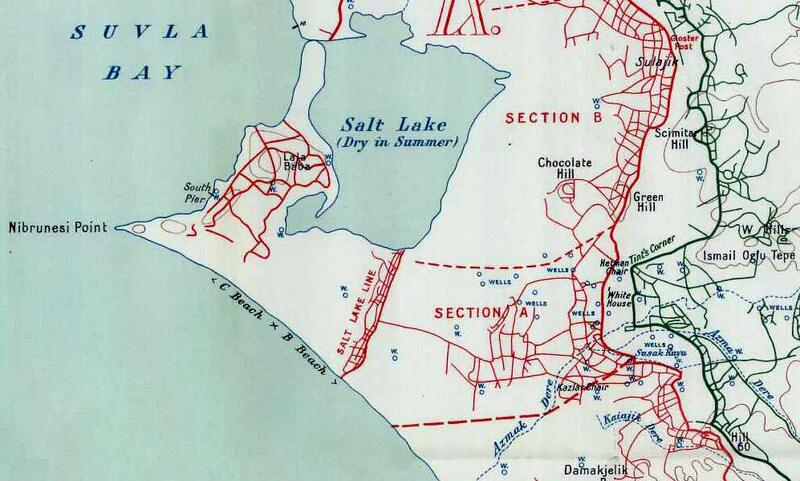 The Germans press on, hoping to capture Vilna and Brest-Litovsk. Further to the south, the Austro-Hungarian push eastwards, liberating territory in Galicia and setting their sights on the Russian town of Rovno.